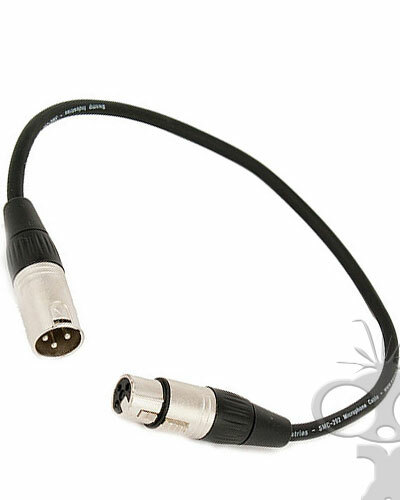 Various short lengths of XLR audio cable with 1x male and 1x female connector for iuse as patch cable. Ideal for working with professional sound equipment including microphones, mixers and recorders - especially for very short distances between mixers or a microphone and camera. All of our cables feature 3 pin connectors and are balanced. We test all audio cables prior to hire.